U.S. Supreme Court Justice Antonin Scalia, Most Conservative Judge Ever, Dies | Public Advocate of the U.S.
Scalia arrived at the 30,000-acre ranch on Friday and attended a private party with about 40 people that night. Since this report the liberal Washington Post has published an investigative report that goes into the details of his last hours. America's leaders and presidential candidates have given testimony about Judge Scalia. And a debate has begun on his replacement with Republicans saying that a replacement should not take place until the next president takes offices and the current President demanding (24 hours after the Judge passes away) the right to nominate a replacement immediately. "Judge Antonin Scalia was frequently quoted by many conservatives and his defense of Godly values and moral principles was frequent, consistent and righteous. 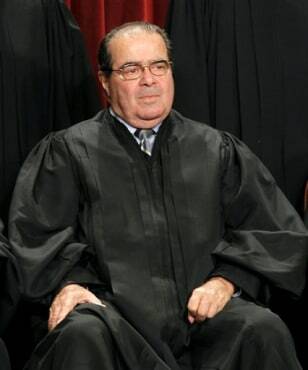 God surely welcomes his arrival and we must have a period of serious mourning and a period of time to properly honor Judge Scalia, " said Eugene Delgaudio, president of Public Advocate.